What is the difference between a lawyer and a consultant? Two types of professionals are allowed to represent people before the immigration authorities: (1) licensed lawyers, and (2) licensed immigration consultants. Lawyers are licensed by provincial law societies, which are private organizations mandated by the government to regulate the legal profession. Each province has their own separate provincial lawyer regulating body. In Ontario, the Law Society of Upper Canada licenses and regulates lawyers. 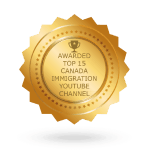 Immigration consultants are regulated by a national organization called the Immigration Consultants of Canada Regulatory Council (ICCRC). This is a private organization mandated by the government to regulate immigration consultants. 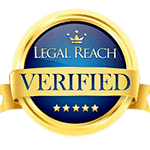 Both lawyers and consultants are therefore licensed and regulated by governing bodies that are in turn authorized by the government, either provincially or federally. The main difference between lawyers and consultants is educational. Lawyers have to complete a rigorous three-year law degree and a period of articling with a law firm before they may obtain a license. Prior to obtaining a law degree, and as a prerequisite to entering law school, lawyers usually obtain an undergraduate university degree. Becoming a lawyer therefore usually entails an education of at least seven years in duration. In comparison, immigration consultants must complete a college program of approximately one year in duration with no prior requirements and no articling component. The result is that lawyers will generally be better educated and have a much better understanding of the law than immigration consultants. Another major difference between lawyers and consultants is that only lawyers may appear before the Federal Court. Lawyers are barristers and as such have the authority to appear before the courts, whereas consultants do not. 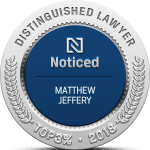 Generally speaking, when it comes to any type of immigration appeal or hearing, whether it is before the Federal Court or the Immigration and Refugee Board, lawyers are much better equipped to represent clients due to their more in-depth legal training. This is not to say that immigration consultants are not worthy of representing clients in immigration matters. Consultants are often very capable when it comes to routine immigration cases such as visa applications, which do not require appearing before courts or making complex written submissions. Much depends on the level of experience of the consultant, and whether they have been trained and are supervised by an experienced lawyer or senior consultant. Those consultants working side-by-side with lawyers and benefiting from their knowledge and expertise are perfectly capable of providing excellent immigration legal services to clients. Those seeking the assistance of an immigration professional to assist them with their case should take care to ensure that the person they retain is properly licensed and is in good standing with their regulatory body. This can be ascertained by visiting the website of the relevant licensing body, or by phoning them. As a word of caution, those seeking representation should be aware that there are many phony immigration consultants and lawyers who prey on the unsuspecting. Often called “ghost consultants” these are people who claim to be immigration professionals but actually are not. They will make elaborate promises of success in any given type of application, then after they are paid, will do little or nothing to advance their client’s case, and often will simply disappear with the money. These ghost consultants may appear to be professionals including having offices and websites, etc., so due diligence should be exercised before retaining any professional services – make sure to find out if the person you want to hire is licensed before you hire them.